Seattle Seahawks quarterback Russell Wilson took to social media early Tuesday morning with his better half, Ciara, to announce that he had signed a long-term extension with the team. The announcement was a little bit odd in that Wilson and Ciara were seemingly in bed at the time. It also didn’t go unnoticed in the Seahawks’ locker room. Just check out Wilson’s teammates, D.J. Fluker and Tyler Lockett, recreating the scene. Hands down the best troll job we have seen around the NFL in some time. 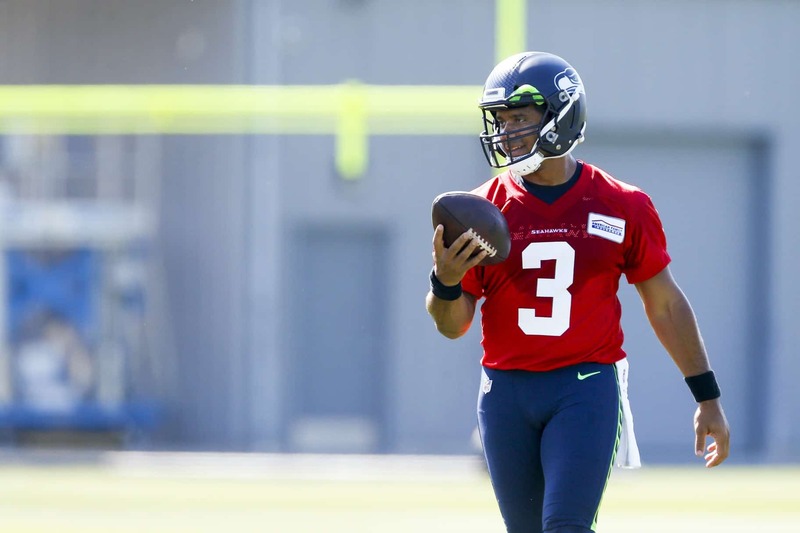 Now the richest man in the NFL, Wilson is known as somewhat of an oddball. His teammates were more than willing to let him know that they believe this, too.